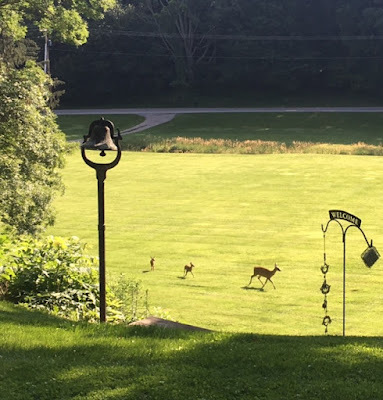 As my hubby and I sit on our deck watching the birds and deer and taking in the beauty of this morning, I was thinking about what the 4th of July really means to me. The freedom we enjoy every single day is unbelievable, perhaps unequaled in the entire world? That means I got to get up this morning and totally decide what I wanted to do first, how I want to spend my day, who I want to talk to or not to talk to, totally free of anyone telling me what to do next. Our media is full of 'dooms day' forecasts and bad endings for America but that's up to the Lord. On the day he created me, He knew how and when he'd take me home. To give up any portion of my life worrying is disrespect for His sovereignty. So today I choose to breath deeply, taking in every detail I can notice that comes as a result of the great sacrifice of those that came before me. 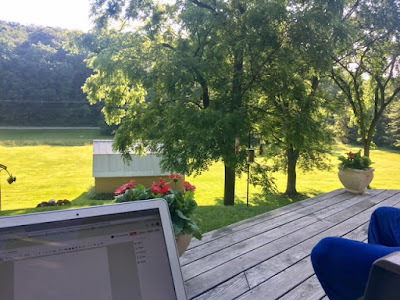 I can only imagine the horror they witnessed as they watched their best friends fall in battle so that future generations, people totally unknown to them, could sit on their decks like I am - loving my hubby of 39 years and drinking coffee while we freely plan our day. Thank you to all who had any involvement in giving me this day covered in the celebration of freedom! Those in the military and those serving honestly in our government - thank you!